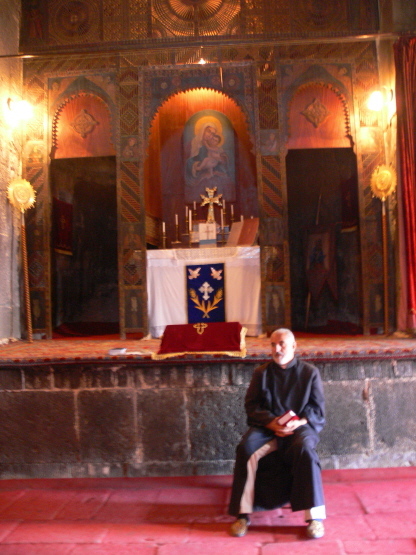 Armenia is one of the most beautiful and unique countries in the greater Middle East. This travel friendly destination seems most popular with Armenians returning home to trace their own routes, but there is plenty here for everyone. 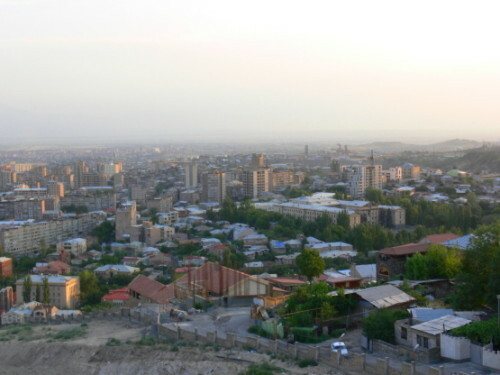 It’s capital of Yerevan is actually safer than several major European cities and has lots of sights to see such as Erebuni Fortress to several art galleries and museums. 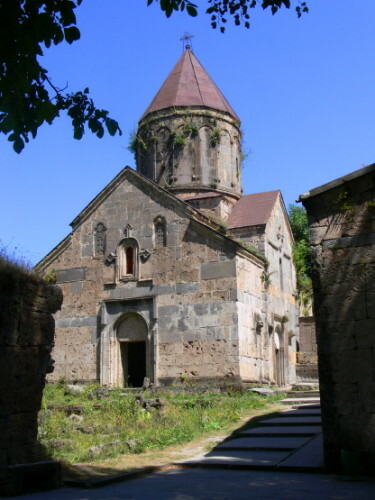 Armenia is also known for its beautiful landscape and their cuisine, and since Armenia was the first country to officially adopt Christianity, you can find some of the world’s oldest churches and monasteries here. 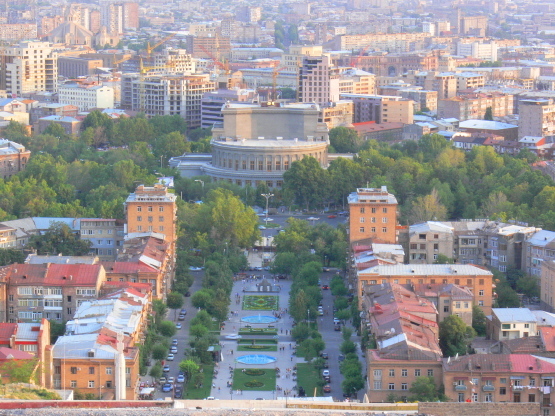 My first pictures show the center of Armenia’s capital, Yerevan. 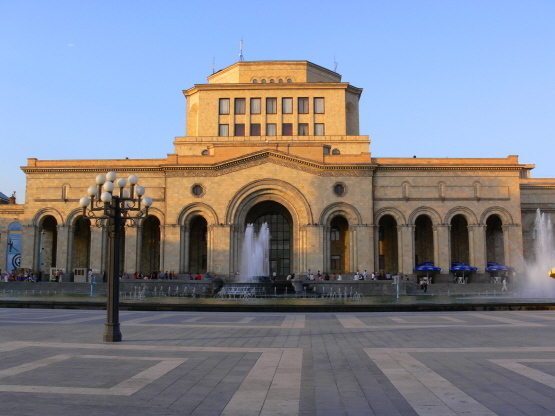 With such a long history, Armenia has had over 12 capitals in lifetime, and although Yerevan is an ancient city, it has only been Armenia’s capital since 1918. The city has grown to a population of over one million and recently upgraded its infrastructure with new roads and bridges, parks, and other projects. 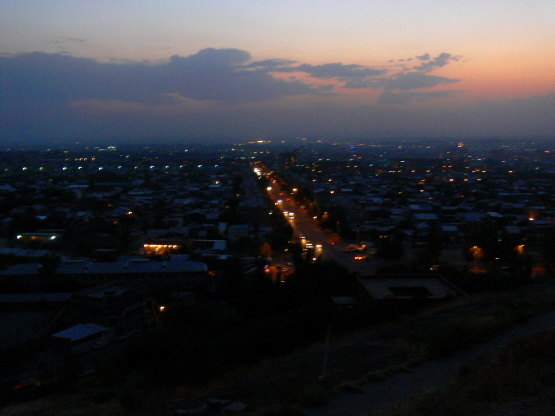 I really was impressed by how beautiful Yerevan was and how many things there were to do. There were so many people out strolling the city parks and streets, going for a run, or just enjoying outdoor sitting for dinner and drinks. 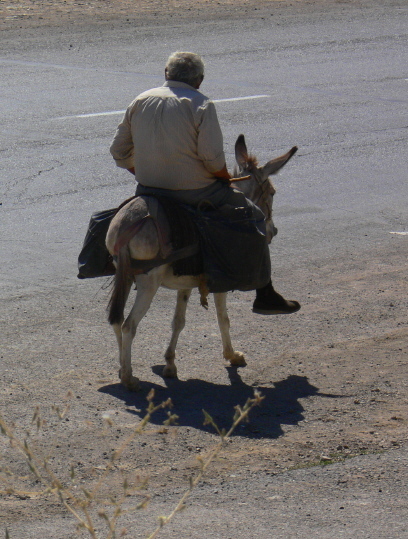 It really gave me an impression that people here are very happy. This was another one of those earlier trips where I did a lot but took few photos! 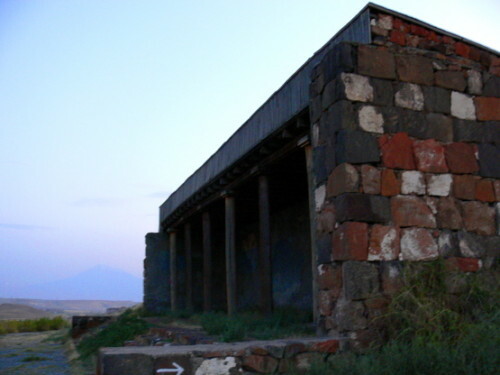 Yerevan’s history dates all the way back to the time before Christ, when King Argishtis ruled the empire of Urartu. 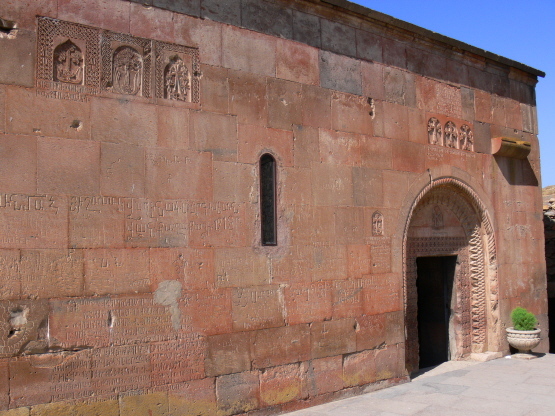 All of the country’s history along with artifacts can be found in Armenia’s history museum located in Republic Square. Republic Square is formed by the intersection of several major streets and is also home to many government programs such as the ministry of foreign affairs, post office head quarters, ministry of energy and more. There is an enormous building located in Republic Square that looks to be another major government office, but it’s the famous Yerevan Marriott with prices starting at $600 a night! Above is a night shot of Yerevan and Armenia’s history museum. 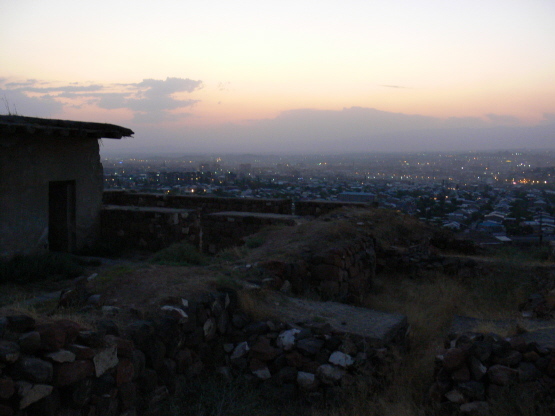 Within the capital is one of the oldest historical places in the country, Erebuni Fortress. 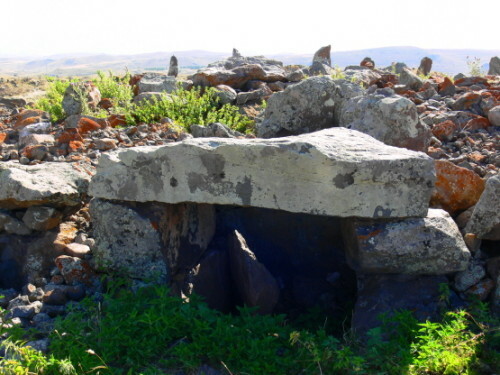 This fortress was built as a military base for King Argišti in 786BC. Back then the area was part of the country Urartu, and this fortress existed for well over a thousand years before Yerevan was even founded! These four surrounding photos are also from Erebuni fortress which was used defend the northern part of King Argisti’s country. The site was excavated in the 1950’s, and hundreds of artifacts were recovered which are now in display in the museum of history. It’s amazing that 2,800 years later, Erebuni fortress is still standing and is in excellent condition considering that nearly three millenniums have passed by. 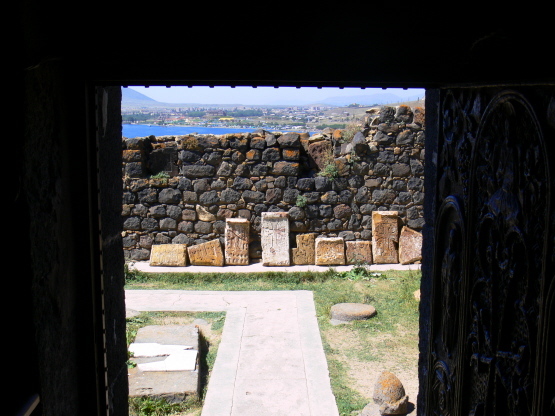 Somehow on this trip I didn’t make it to many of Armenia’s museums, even the most important ones. The photo on the left is of the Tsitsernakaberd, or the Armenian Genocide memorial in Yerevan. The Armenian genocide is by far the greatest tragedy to hit the country in its long history. Over a million Armenians lost their lives to the brutal Ottoman empire immediately after World War I. 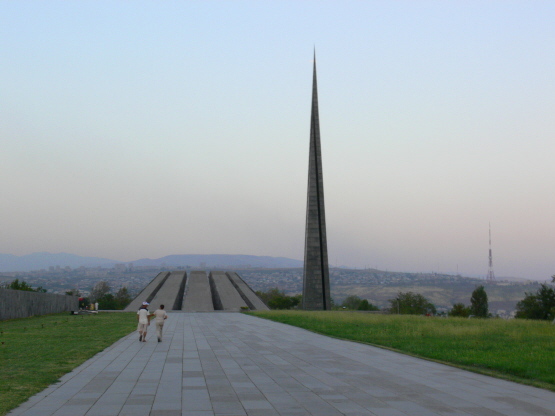 This memorial is part of a larger complex that has a large museum and is the site of ceremonies that commemorate the genocide. I arrived too late to visit the museum, so I could only explore the complex grounds. The photo on the upper right is unrelated to the memorial, but I found it interesting how Armenia’s put drawings of their dead on tombstones. 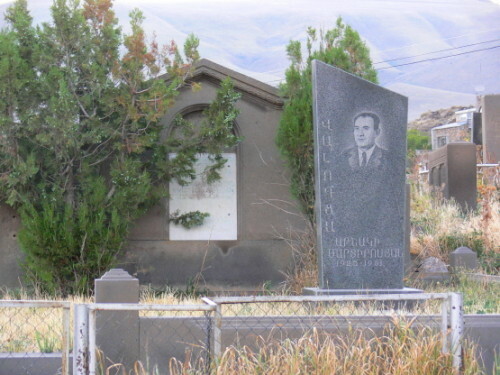 I thinks this actually makes a lot more sense to personalize the tombstone, and saw this often in neighboring Azerbaijan as well. 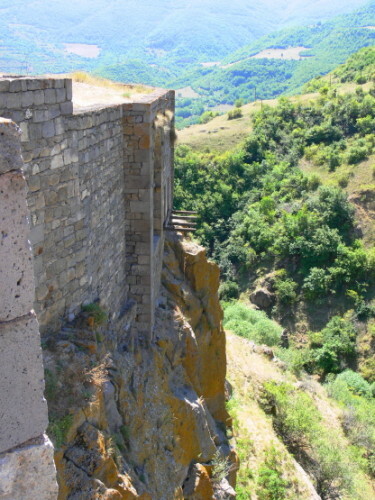 This enormous 9th century monastery known as Tatev is located high in the mountains of southeast Armenia. The view from a distance is one of the most amazing in the country, but when I visited they had a 21st century crane doing some maintenance so I couldn’t get a good photo of the entire complex. 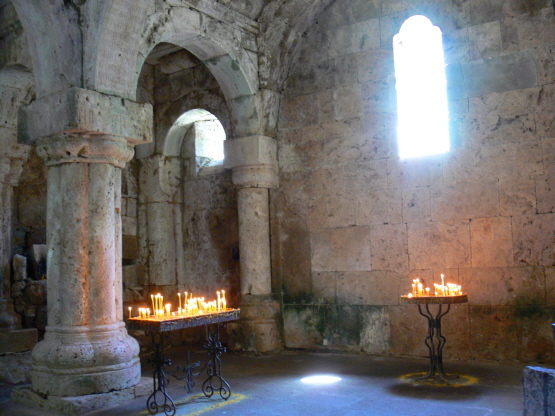 Completed in 895, the monastery has received several additional structures over the centuries. The two photos above are more pictures from the complex of Tatev. 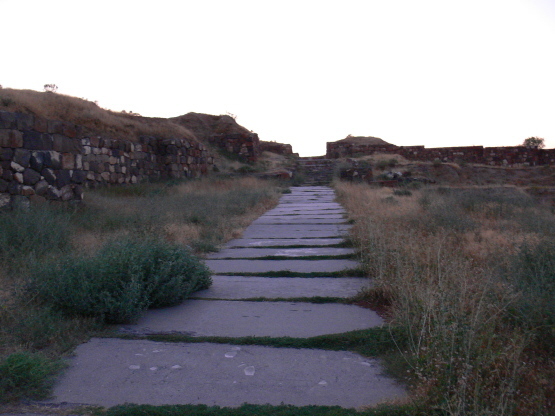 Above is a hallway found in the Tatev complex. The structure on the left is called ‘Gavazan’ the swinging column. It is unique because it actually tilts if someone leans on it then goes back to it’s original position. This has allowed it to absorb shocks and survive dozens of earthquakes that have occurred in Armenia. 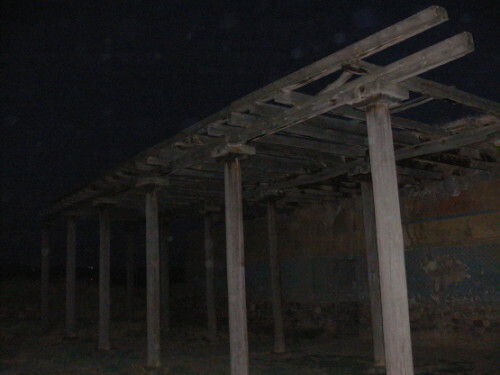 These two pictures are from a church complex located near the border of Iran that is called Noravank. 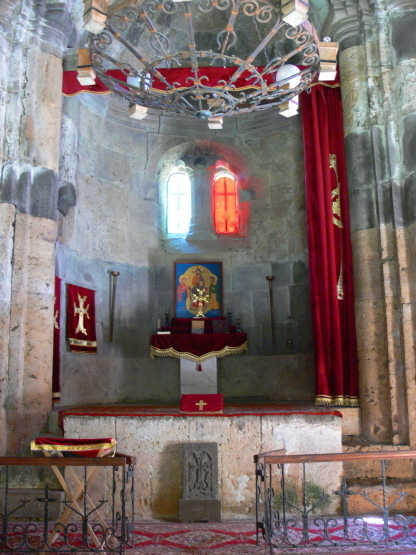 You can see how the stones that are used are different in color from other churches in Armenia. 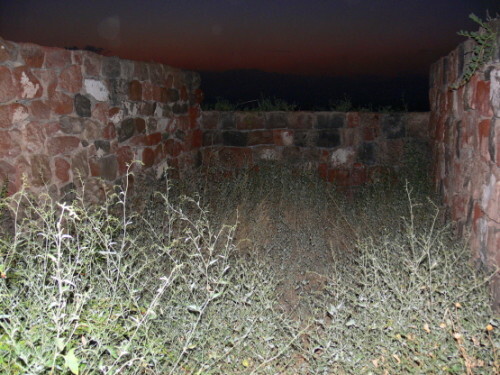 The area around the church complex is made up of a gorge that has reddish cliffs and is very scenic. 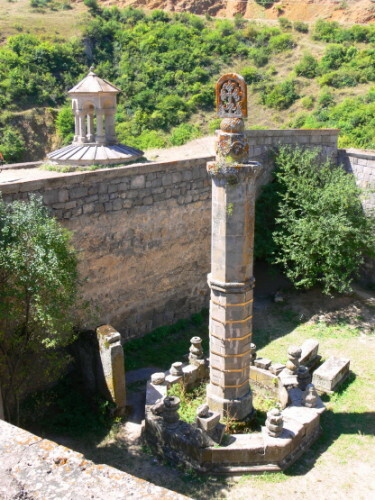 Founded in the 1205, Noravank actually means ‘New Monastery’ in Armenia. 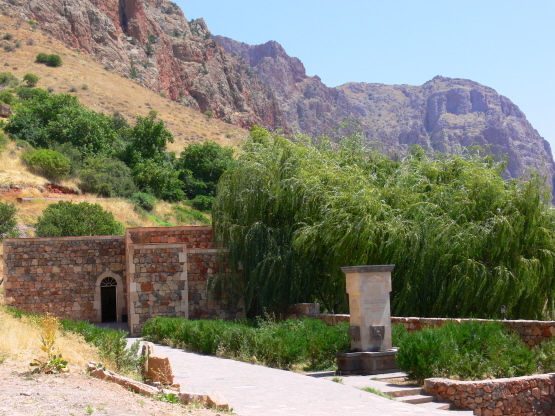 Above is the garden and fountain, on the right is the inner chapel of the S. Astvatsatsin Church. 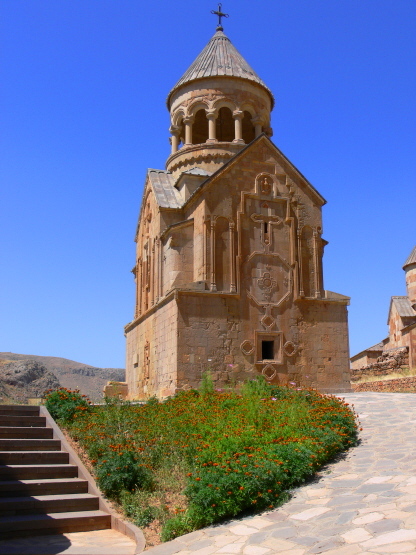 These surrounding pictures are of Haghartsin Monastery, built between the 10th and 14th century. Within the monastery complex are three churches, a 13th century reflectory, and other works of art that are still standing today. 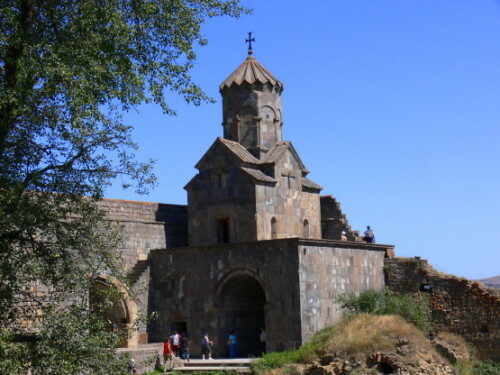 One of the most beautiful monasteries in Armenia is Khor Virap. 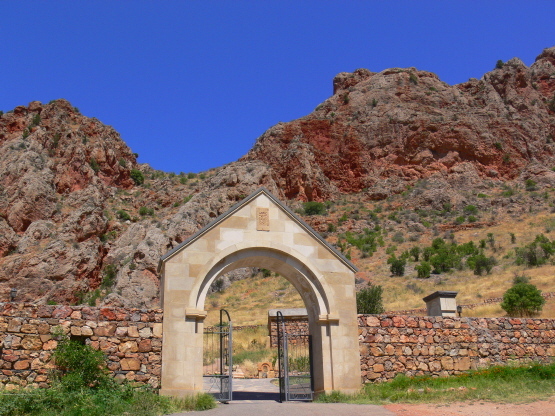 The photograph above shows the monastery complex with the famous Mt. 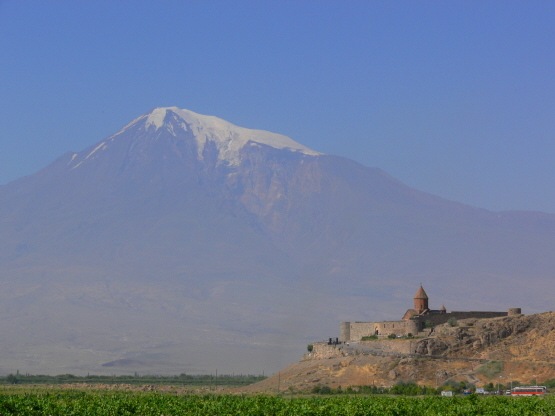 Ararat that sits on the Armenian Turkish border in the background. The monastery is an Armenian Apostolic Church, and was founded in the 7th century. The story of this monastery however begins hundreds of years before this. 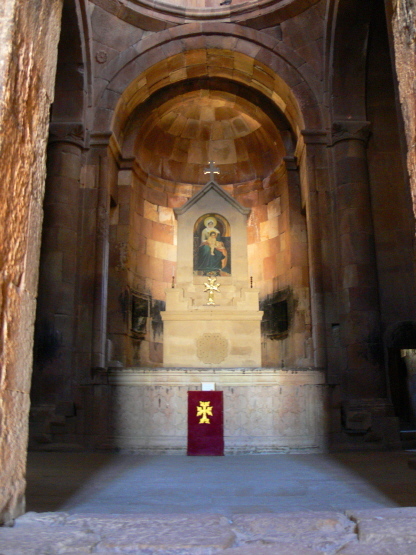 Khor Virap literally means “Deep Pit” in the Armenian language. 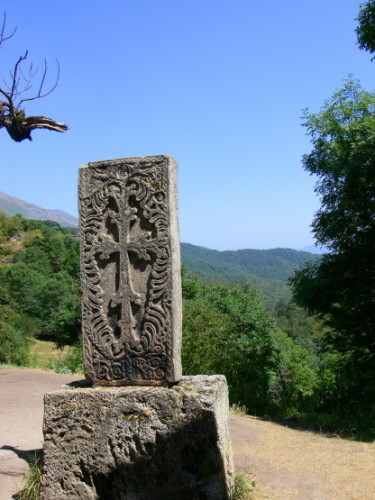 When the pagan King Tiridates III of Armenia ruled his country, he had Grigor Lusavorich tortured for his Christian beliefs. 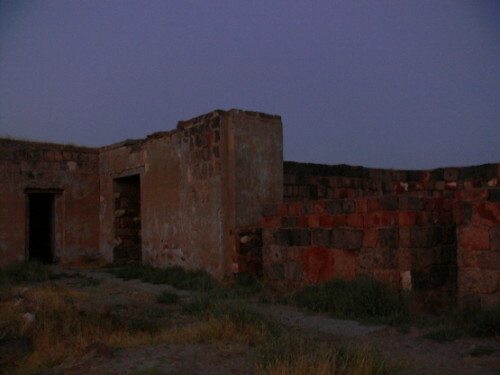 Grigor Lusavorich refused to give up his religion despite the physical and mental torment he received on order of the king. 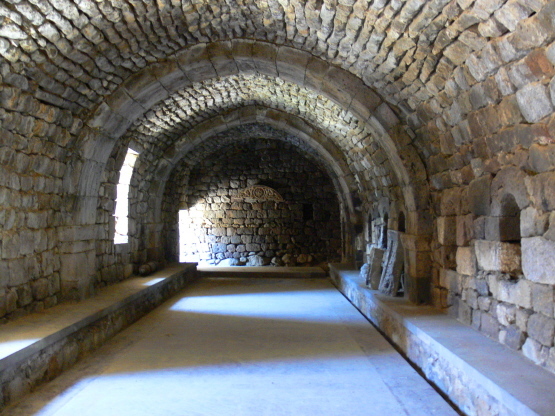 He was finally thrown into the dungeons of Khor Virap, and forgotten for 13 longs. It wasn’t until the king became ill and was even said to be insane that Grigor Lusavorich was pulled from the pit and asked to help. After baptizing the king and helping him recover, the two suddenly become an alliance and converted the entire country, making Armenia the world’s first official Christian nation. 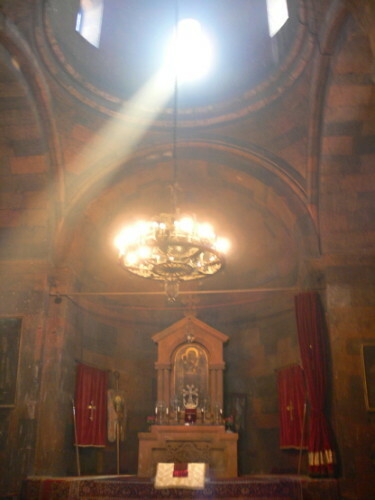 Grigor Lusavorich is now considered a saint and is known as Gregory the Illuminator. Anywhere from 3,500 to 7,000 years ago, ancient people living in Armenia aligned giant stones to the stars and planets to study astronomy. 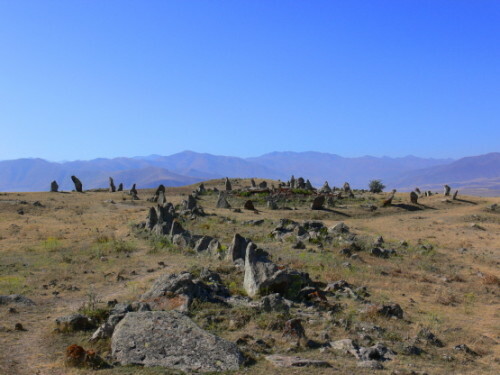 Although very similar to Stonehenge in concept, Karahunj isn’t as impressive to the eye, but makes up for this by its creative design. Smaller holes carved out of the stones actually perfectly align with the stars during the right time of year. 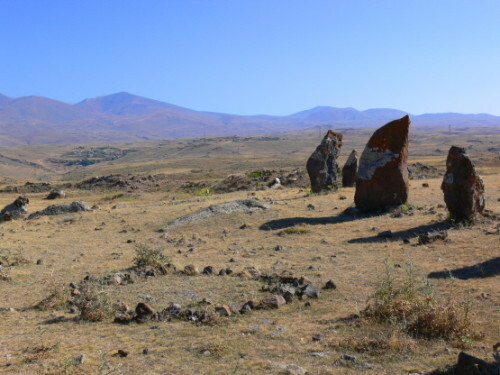 Another place in Armenia where you’ll never run out of water is called Lake Sevan. 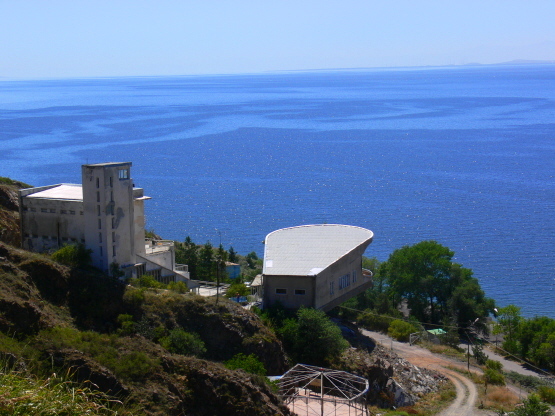 Since Armenia is a landlocked country Lake Sevan is also their beach, and is between Armenia and the country Azerbaijan. On the left is a shot looking over the lake from a good viewpoint. 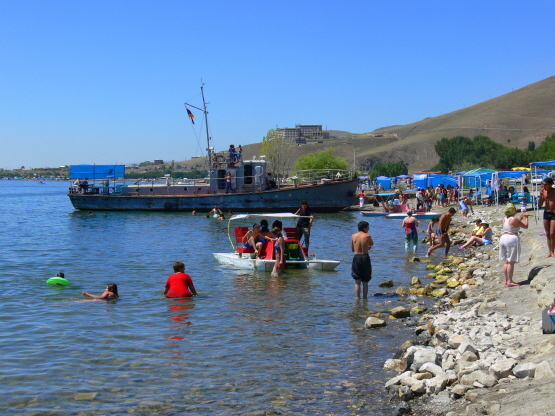 On the other side are a bunch of Armenian’s swimming along the shores of Lake Sevan. 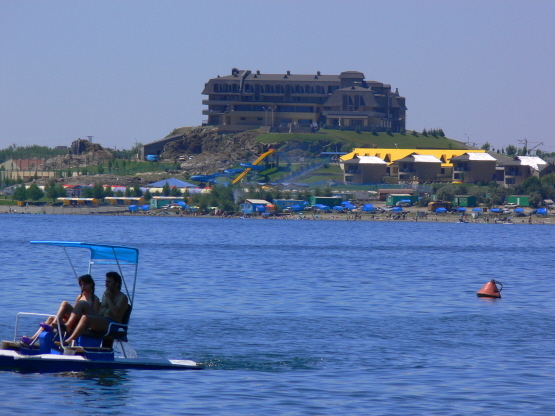 Many people also take both power and paddle boats out into the lake for fun. 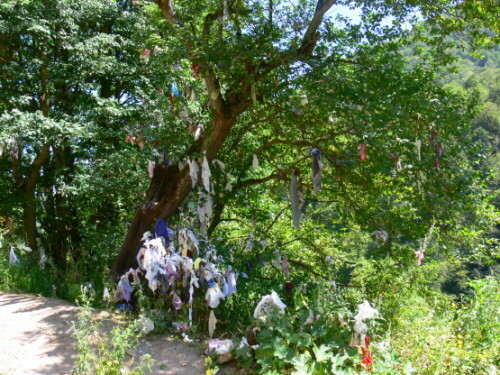 A good place in the summer to go hiking is the Valley of Flowers, or Tsakhkadzor in Armenian. 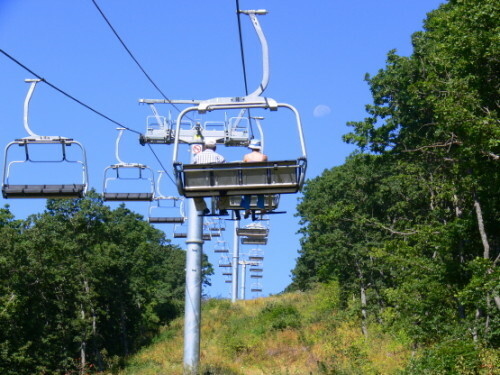 The upper right photo shows the lift going to the top of the mountain where you can do hiking and enjoy some scenery. In the winter Tsakhkadzor is actually a small ski resort. On the left is an old fashioned way to travel in Armenia. Here are three more pictures of Armenia’s natural beauty. 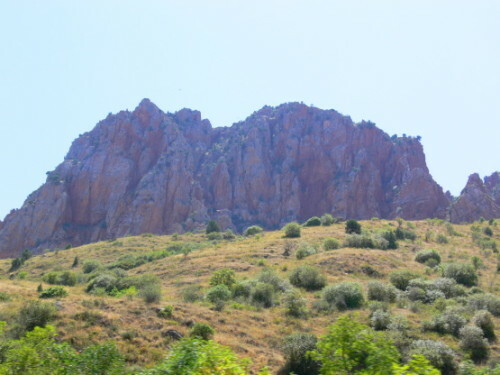 Armenia has many amazing rock formations throughout the country like in the two photos above. 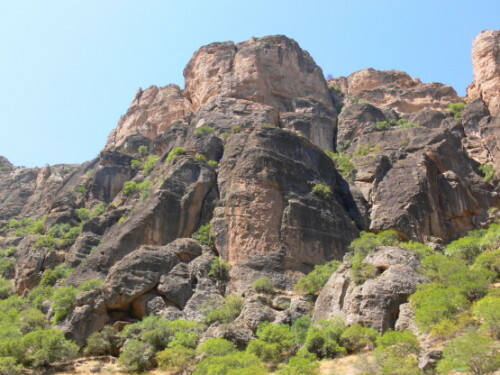 During one part of my trip we drove through a steep valley that had orangish rocks with very dark green plants growing off of them. For some reason it all looked prehistoric to me, like something you would see from the dinosaur ages. 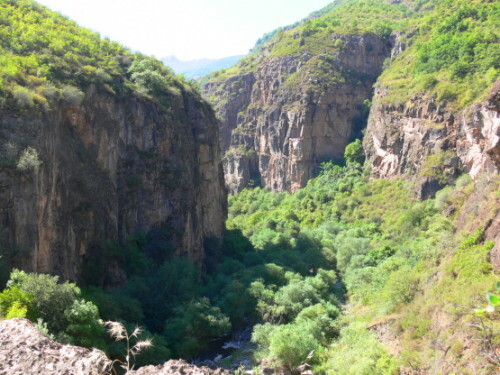 On the left side is a famous waterfall named Shaki in southern Armenia. 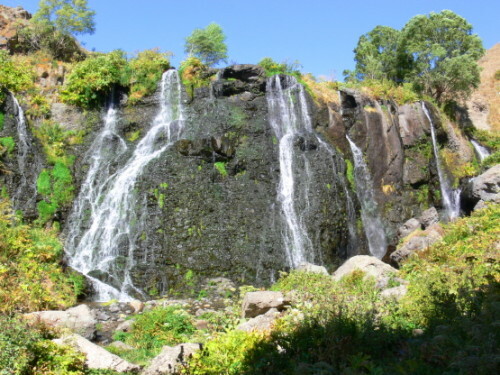 The waterfall was pretty dry when I visited but just as beautiful. Normally after it rains the rocks are completely covered by a wall of rushing water. Armenia has some amazing natural beauty. My favorite was the Vorotan canyon, where there is a natural bridge that crosses over a river. 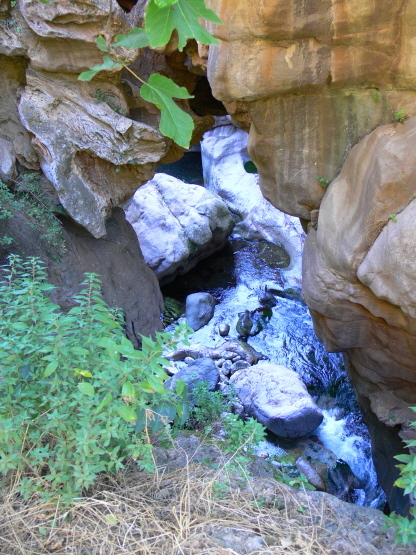 On the left is a picture of the entire canyon, to the right of that is a picture looking down into the river from the natural bridge. 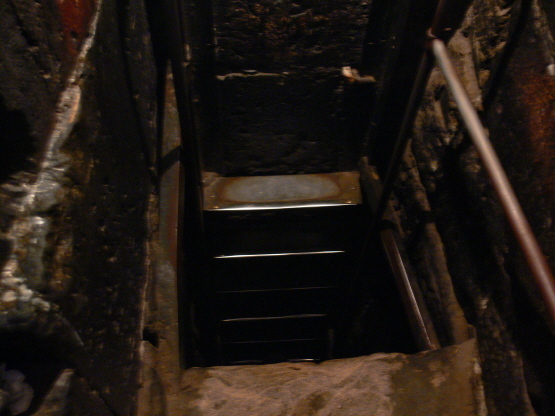 It doesn’t seem that far from the photo but it is a long ways down. I couldn’t see anyone down there but you can hear kid’s voices echoing back up as they played in the water below.